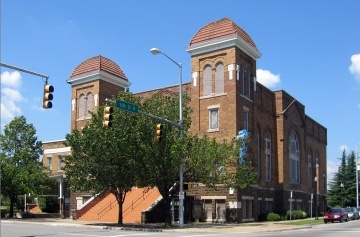 Sixteenth Street Baptist Church is a central landmark in the Birmingham Civil Rights District. 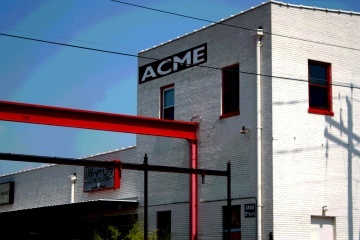 It was designated as a National Historic Landmark in 2006. A collective of studio artists including a gallery space for exhibiting current woks. By appointment only. Gallery located between Regions Bank & Crestline School behind George Matthews’ office. 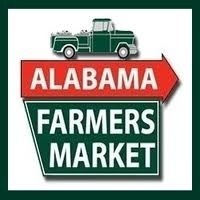 The D’Alessandro family has owned and operated Fourth Avenue Supermarket and Butcher Shoppe in Bessemer, Alabama for more than 60 years. 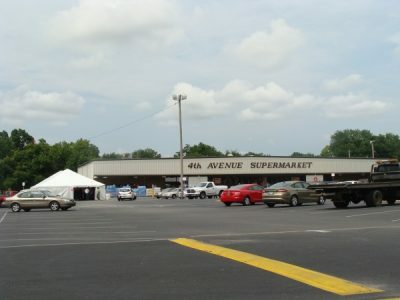 Frank D’Alessandro, Sr. and his wife Pru opened the original Fourth Avenue Supermarket in 1951. Immigrants from Italy, the D’Alessandro’s came from the grocery industry and saw a need to supply local residents and businesses with fresh produce and quality meats. The original store was small, about the size of a one-story single-family home. Over the years and as the business grew, Frank continued to expand his product line and soon became one of the major employers in Bessemer. Alabama’s largest city is defined by four pillars: sports, art, music and the Civil Rights Movement. On this fun-filled Birmingham scavenger hunt, we make a loop around the city center in search of storied buildings, great green spaces and cultural institutions. Why was the Alabama Theatre the “Showplace of the South”? Which two female heroes like to hang out in Linn Park? 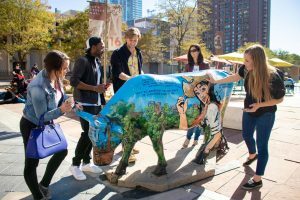 Find out on this scavenger hunt of Birmingham! This scavenger hunt is app-lead. No tour guide or reservation required. 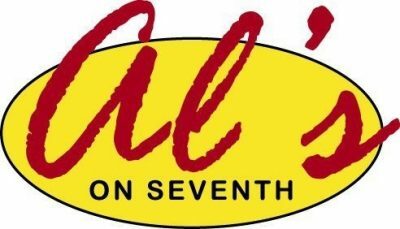 Al’s on Seventh is a private club with an open and accepting atmosphere. Membership is required and available at the door. You must be 18+ to enter, and 21+ to drink. The Alabama 4-H Center is a full service conference facility with… Accommodations for individuals or groups of up to 280 people Meeting facilities to suit your specific needs Full service dining and refreshments for breaks Audio visual capabilities such as LCD projectors and sound systems Looking for fun activities for yourself or your group? We offer… Team Building courses to build trust, performance, and character Coosa River Science School with programs for all ages Hiking, fishing, basketball, putt putt golf, canoes, and much more! Or maybe you just need a place to throw the perfect party… All-seasons site for weddings and receptions Class reunions Family reunions Church picnics Company events Catering and meeting space for all special events! 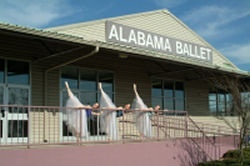 The Alabama Ballet Center for Dance (ABCD) is an 8,000 square-foot facility featuring 6 state-of-the-art studios. Each studio is equipped with sprung flooring and sound equipment and can be rented by the hour for rehearsal and teaching space. In addition, the ABCD can be rented for meetings, parties or special events. Amenities include an on-site kitchen, large patio, lobby area, chairs and tables. A visit to The Alabama Booksmith is a mini-vacation. 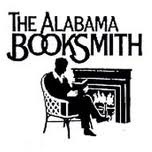 Located in Homewood, the bookstore specializes in the promotion of Alabama authors, is a member of the Booksense consortium, and an oasis for any book lover. Since 1995, several hundred writers have signed and read in the store and at events around the state. The Booksmith brings books and authors to reading groups, libraries and schools as well as huge conferences like READ ALABAMA in Jasper, THE OTHER COVERED BRIDGE in Oneonta and ON THE BRINK in Jacksonville. Our open-air, indoor facility provides an ideal spot for vendors to share their fresh fruits, vegetables and more with the public. We feature both wholesale and retail produce and are open YEAR ROUND. Radio afficionados will enjoy this trek through the history of radio. 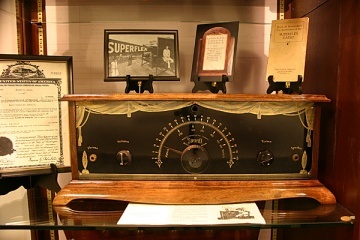 The museum features radios from the early 20th century days of "radiophone" technology through the 1940s and 50s. 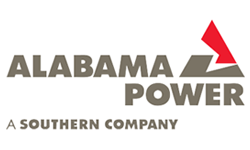 The museum is housed in Alabama Power Company's corporate headquarters. 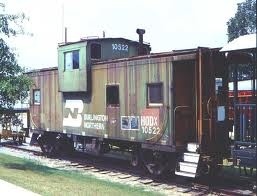 This museum houses mining memorabilia; along with equipments. Collection of pictures pertaining to Dora; that too, at the time of peak mining days would also be found. Experience the natural diversity of Alabama through exhibits from the Age of Dinosaurs, the Coal Age, and the Ice Age. View the extensive displays of geology, zoology, mineralogy, paleontology, ethnology, history, and photography. Explore the Alabama Museum of Natural History housed in historic Smith Hall, one of the finest examples of Beaux-Arts architecture in the region. See the Hodges meteorite, the only meteorite known to have struck a human, and the State Fossil of Alabama: Basilosaurus cetoides. The Museum is located in Smith Hall on the corner of Sixth Avenue and Capstone Drive on The University of Alabama campus in Tuscaloosa . Directions: To reach the Museum from Highway 82 (McFarland Boulevard) , take the University Boulevard exit and follow the signs leading west to Hackberry Lane. If you are arriving on I-59, exit onto I-359 and take the University Boulevard exit traveling east to Hackberry Lane. Seven hundred years of medicine and ill health are represented with instruments, equipment, specimens and models used by healthcare professionals around the world. 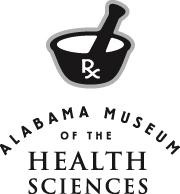 Experience the history of medicine, its immeasurable progress and devastating challenges, through the collections of the Alabama Museum of the Health Sciences at the University of Alabama at Birmingham. The AMHS is located on the 3rd Floor of the Lister Hill Library on the UAB campus. Take first bank of elevators to the third floor, then enter the double doors on your left. Many events are held in the Ireland Room, which is located through the double doors on your right after exiting the elevator and is then through the last door on your left. Carries equipment and apparel for backpacking and climbing. The Alabama School of Fine Arts is a partially residential public school authorized and funded by the Alabama Legislature to provide tuition-free instruction to impassioned students, grades 7-12. The school provides focused specialty instruction in Creative Writing, Dance, Mathematics and Science, Music, Theatre Arts and Visual Arts, plus core academic courses necessary to earn an Alabama high school diploma. The school operates under its own enabling legislation, policies and procedures, guided by a state-appointed Board of Trustees, under whom serves a staff of more than 100 full and part- time administrators, teachers and support workers. Alabama students pay a small semester matriculation fee, but no tuition. Students from outside Alabama pay tuition, which the school sets annually. 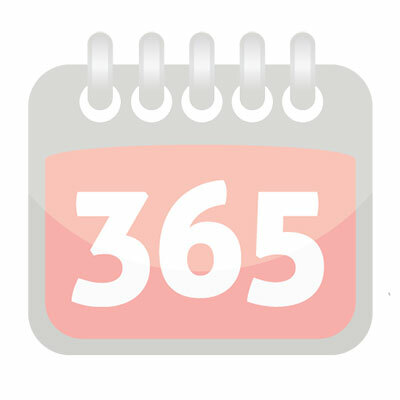 Residential students pay room and board costs, set annually. ASFA strongly emphasizes performance and learning. The dual requirements of specialty and core academic courses result in a school day typically beginning at 7:55 a.m. and ending at 4:40 p.m. or later. Although studious, the school’s atmosphere is in no way stiff or severe. Faculty, staff and students value freedom within the bounds of mutually respectful relationships and behavior, subject to rules discussed in the Student Handbook and Residential Life supplement ( For more information see Current Students). The building can be leased for educational purposes by the ASFA Foundation including the Recital Hall, Theatre, Creative Writing Lecture Hall, Lobby, Cafeteria and classrooms. The use of the building by ASFA students has precedence over any outside engagement. The purpose of the ASHOF is to honor, preserve and perpetuate the names, deeds and records of those, living and dead, who by achievement or service, have brought lasting fame and honor to the State of Alabama and to themselves through their outstanding accomplishments. Over the last thirty-five years, the ASHOF has become the benchmark for other Sports Museums across the country, with over 5,000 sports artifacts elegantly displayed in the 33,000 square foot building. Out of ESPN’s list of the top 100 athletes of the century, five out of the top fifteen greatest ever are in the ASHOF: Jesse Owens, Hank Aaron, Joe Louis, Willie Mays, and Carl Lewis. Built in 1927 and widely known as "the Showplace of the South," the Alabama Theatre features marble, plaster and gold-leaf detailing and its original Mighty Wurlitzer pipe organ. The Spanish-Moorish architecture and fixtures from around the world hearken back to the days when movie palaces offered an escape from the everyday into the extraordinary. Now this opulent facility is available for your event! The theatre is available for concerts and live performances with a full stage and a seating capacity of 2,176. Private receptions and events up to full seating capacity, and catered events up to 350. Projection capabilities include film, DVD, and Blu-Ray as well as computer and laptop inputs for projection onto one of Alabama’s largest screens making it ideal for movie premieres or corporate events.